There’s so much happening on the Catskills beer frontier that we could publish an update weekly. But for now, here’s a look at some recent developments in local breweries and beer-related events. 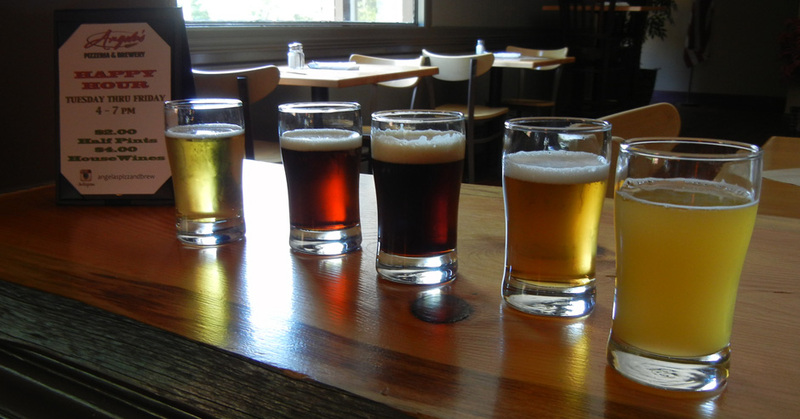 Not happening: The brewery on Route 28 in Shokan we told you about in November. Tentatively titled Woodstock Local Brewing and later Shokan Brewing Co., it was slated for the former garage now occupied by home furnishings store Scandinavian Grace. Entrepreneur Rick Shobin, the main power behind the project, tells Catskill Eats that personal family commitments prevented him from moving forward with the deal to purchase the property, which also includes a house and two acres. Partner Scott Shimomura, the brewmaster, says he hasn’t given up hope of launching the business, however. He’s looking for another location in the area — and still brewing up test batches. Tune in on Instagram to keep up with the pair’s progress. Meanwhile, the owners of Scandinavian Grace have gotten a reprieve from having to move, though maybe not for long, as the property is still for sale. Still happening: The new headquarters of 212 Brewing Co. planned in Delaware County. As we reported in a January exclusive, 212 owner Don Trooien plans to open a brewery operation as well as a tasting room on a former water bottling plant and an adjoining horse farm in the town of Kortright. Trooien says that “everything is still on track,” though moving a little more slowly than expected. Changes and expansions: Catskill restaurant Angela’s Pizzeria and Brewery relaunched under the new name Angela’s Italian Bistro & Brewery this month, a move owner Joey LoBianco says was meant to emphasize the 30-year-old eatery’s broad menu and new beer ventures. The 30-year-old restaurant and tap room will always have pizza as a mainstay, LoBianco says, but also offers a wide range of other dishes. There are changes in the onsite brewhouse too. Veteran brewmaster Nat Collins’ stint there ended in February, after he set up the operation and perfected the recipes and processes for the brewery, which is known as Rip Van Winkle Brewing Co. Collin Coan has taken over as brewer, and in addition to supplying the restaurant’s taps, Coan will oversee a long-time dream of LoBianco’s — producing Rip Van Winkle beers for wholesale keg distribution. That project, which will begin with the popular Kiskatom Brown Ale, is scheduled to debut this summer. Options for enjoying: Speaking of Nat Collins, this weekend marks the 19th year that he and co-founder Bill Woodring will host TAP-NY, the Empire State’s most popular beer festival, which will be held April 23-24 at Hunter Mountain ski resort in Greene County. The festival, which culminates in the awarding of coveted trophies, showcases the work of more than 100 breweries, including Catskills favorites like Cave Mountain Brewery in Windham, New Paltz Brewing in Wawarsing, Hammo’s Brewpub in Hensonville, Green Wolf in Middleburgh and Yard Owl in Gardiner. Looking ahead, a newer entrant on the local beer festival scene, the two-year-old Craft Brew Boogaloo, is also coming up. More than 75 breweries (and cideries) are expected at Cantine Field in Saugerties on May 21, along with local food trucks and live music. About that Kelsey Grammer rumor: Finally, the internet lit up last month with chatter about the actor and craft beer aficionado opening a brewery near Margaretville, where he owns hundreds of acres and has long been a part-time resident. The hullabaloo started when New York State Brewers’ Association Executive Director Paul Leone posted a photo of himself and Grammer on social media, which went viral. While there’s nothing on paper yet, Grammer is exploring the options, Leone told Catskill Eats. “This is in the very early stages of planning and he is doing a lot of research at this point to possibly move forward with this,” Leone said.